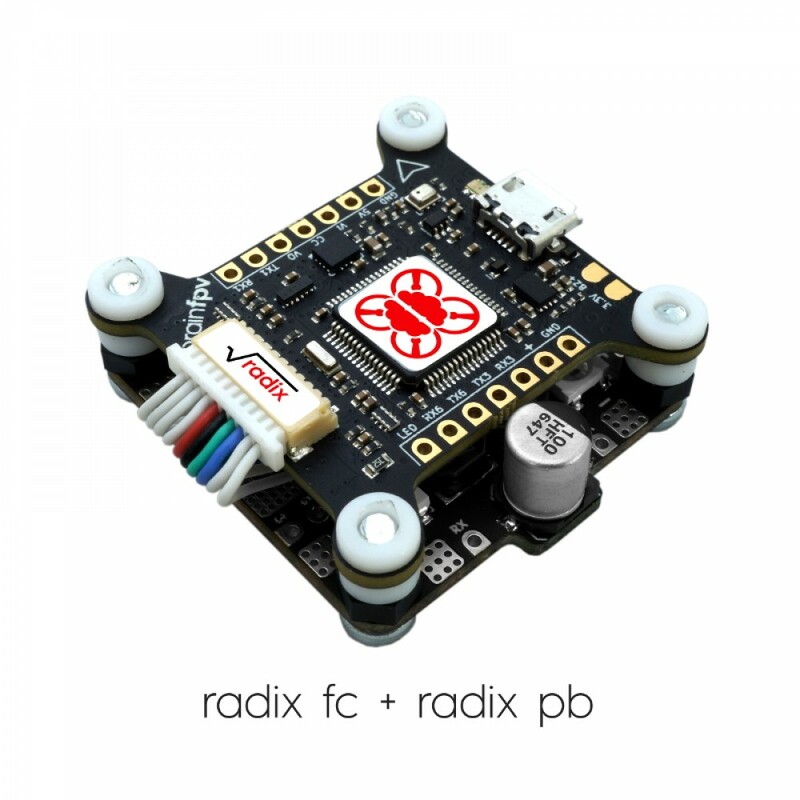 BrainFPV brings us their latest creation, the Radix Flight Controller. With a speedy F4 processor, full graphics capable OSD, and stackable form factor, this FC has all the essentials but with many things, it's the details that count. There are so many, you'd be better off looking at the specs yourself. 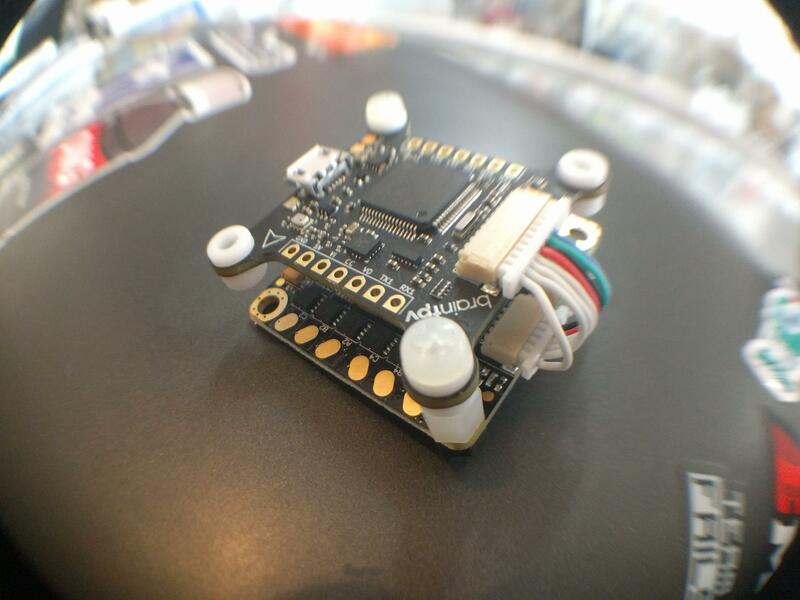 Full-graphics capable OSD with horizon, gyro spectrograph, RC stick display and more. Four UARTS = more ports the better! Two of them feature signal inverters for S.Bus and SmartPort, allowing for a flawless setup! OSD: Full-graphic, PAL/NTSC auto detect, adjustable black and white levels. 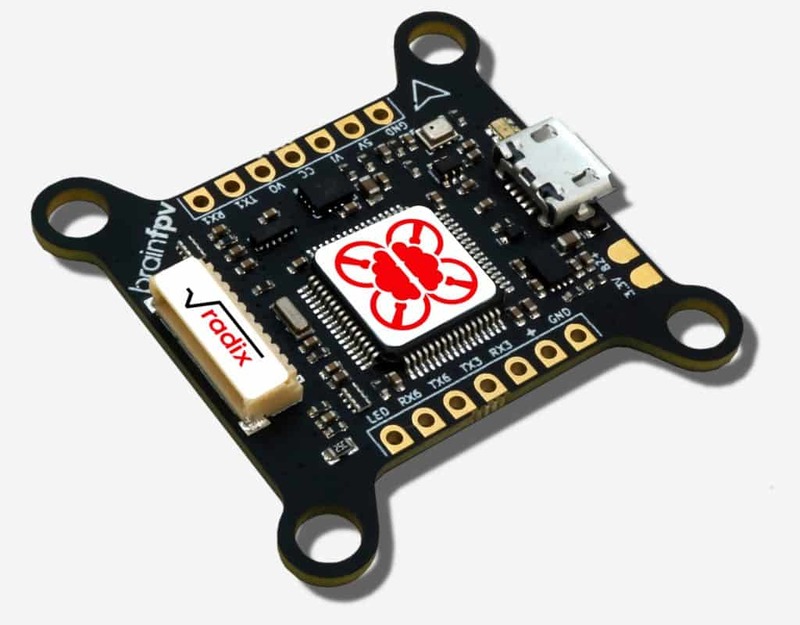 Full Betaflight OSD support with extra graphical features. Receiver Support: PPM, S.Bus (inverter built-in), DSM, HoTT, SRXL, CSRF, FPort ready. 5V or 3.3V supply for a receiver. Serial Ports: 4 full serial ports (UARTs). 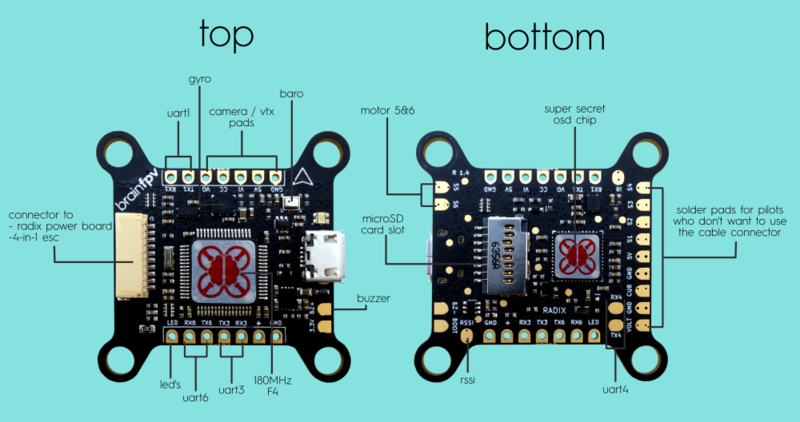 UART3 and UART6 have inverters for S.Bus and SmartPort telemetry. 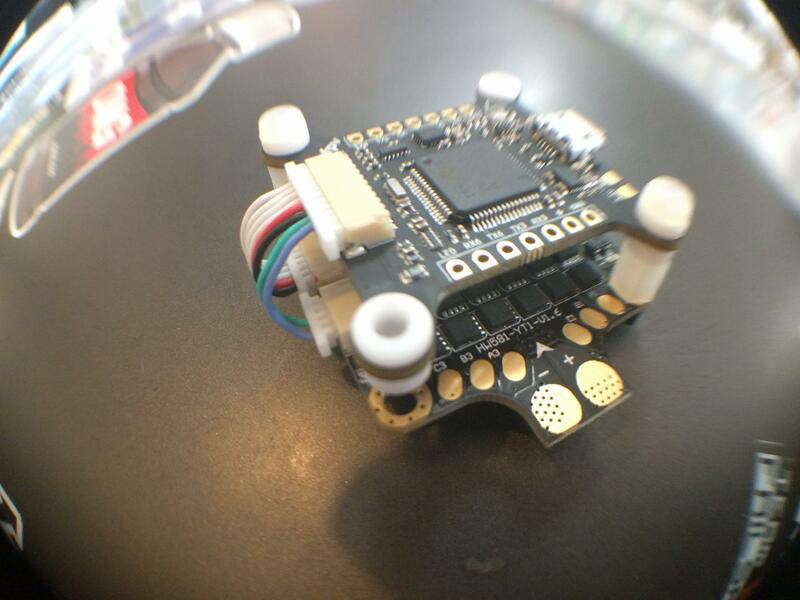 IR Emitter: Dedicated output for infrared-based lap timing with multi-protocol support (I-Lap, Trackmate). Needs external IR LED and driver.